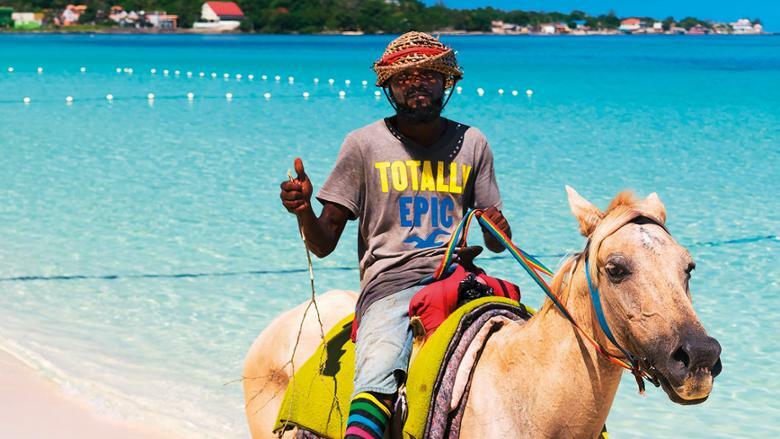 They say: Eli Fuller, owner of Adventure Antigua boat tours says, even when the hotels are full and cruise ships are calling, you can still find stretches of beach where your family can muck around without being overlooked. Ffryes, Darkwood and Johnson’s Point in the south-west, are among the best as they’re easily accessible, the sand is soft and the sea calm. The Antigua Rainforest Zipline Tours are a sure-fire hit with families, and Papa’s By The Sea, at Falmouth Harbour, is a top lunch choice as it also has a pool. We say: It’s a good idea to choose an island that is easily accessible and where transfers are short. Antigua’s other family-friendly assets are its beaches and the many activities on offer. Kayaking through the mangrove inlets in the north is recommended, but your children may be happy to know that Antigua is light on cultural sights. The exception is Nelson’s Dockyard: the Unesco World Heritage Site is an operating Georgian dock. • Hodges Bay Resort & Spa (eleganthotels.com/hodges-bay) is due to open later this year on the north coast. Pitched upmarket at families, it will be the first Antiguan hotel from Elegant Hotels, mostly based in Barbados. • There’s a new glamping option right on the sands of Valley Church Beach (wildlotuscamp.com). • Hike Caribbean (hikecaribbean.com) offers hiking and yoga breaks based at the Sugar Ridge Resort, as well as holidays combining walking on Antigua with other Caribbean islands. Where to stay: Family-friendly hotels include exclusive Jumby Bay on its own island, stylish Carlisle Bay and Nonsuch Bay, which has excellent sailing. For more affordable accommodation set along a fantastic beach, consider the lively Starfish Jolly Beach Resort: around May half-term, from £858 all-inclusive with Virgin Holidays. They say: Laurie Gumbs, owner of Tradition Sailing Charters says, Anguilla has the best beaches in the Caribbean. There are 33, many with startlingly white, coral sand. Even on the busiest day, you’ll find at least three on which you’ll be the only person. Favourites? Maundays Bay and remote Captain’s Bay, a turtle-nesting spot presided over by a villa. We say: We agree with Laurie: this low-lying British Overseas Territory does have the Caribbean’s finest beaches. With no mass-market tourism, the beaches are uncrowded. Most are also easily accessible. 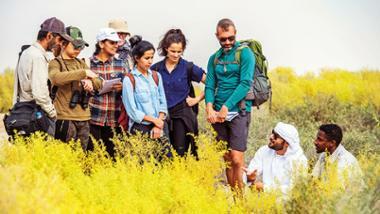 The arid island is short on sights — arguably another plus for beach addicts. See for yourself: Belmond is redesigning Cap Juluca, and reopening it mid-December. Malliouhana, the island’s original luxury resort, also reopens in December following hurricane damage. Food, from roadside barbecues to haute cuisine restaurants, such as Blanchard’s is another big draw. Where to stay: Belmond Cap Juluca curls along Maundays Bay beach, with rooms steps from the sand. From £2,935 B&B in May. They say: Kerry Fountain of myoutislands.com says, most Bahamians live on New Providence, which means the other 700 Out Islands are scarcely populated, unspoilt idylls, with beaches that are deserted even in high season. Andros, famous for its blue holes, is the fifth largest island in the Caribbean, yet its population is just 10,000. My favourite Out Island is Eleuthera, pencil thin and 180km long. We call it ‘the island of self-discovery’. Jump in a car and potter. We say: For The Bahamas at its best, leave the high-rise hotels and cruise-ship hordes in Nassau and fly to the Out Islands. These have distinct personalities. 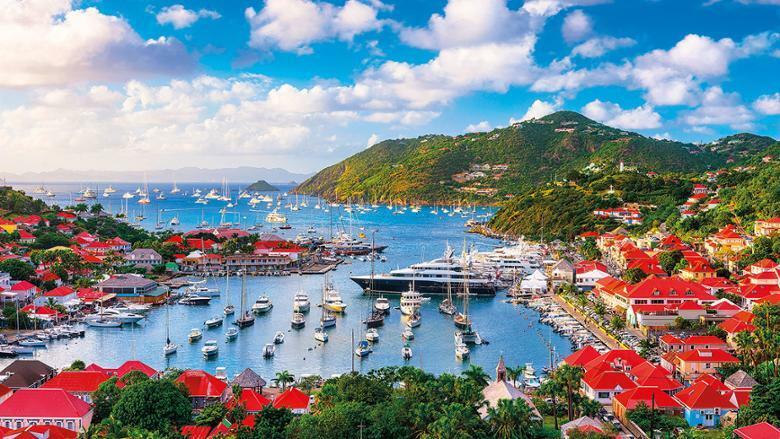 Tiny Harbour Island, with its old pastel-coloured clapboard houses, white picket fences and golf buggies as preferred means of transport, is chic and quaint. By contrast, Bimini is first and foremost about deep-sea fishing (think Hemingway), and Andros is rugged, its USPs fly-fishing, birdwatching and diving. 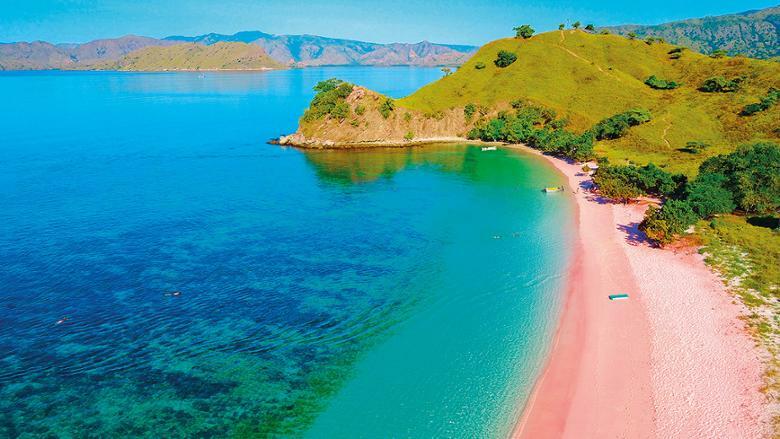 See for yourself: The country’s most famous strand is Pink Sands Beach. Running pretty much the length of Harbour Island, it gets its pale pinky colour from microscopic coral shells. Where to stay: On Eleuthera, stay at The Cove – intimate, secluded, with two private beaches. On Harbour Island, stay at the fashionable B&B Coral Sands. 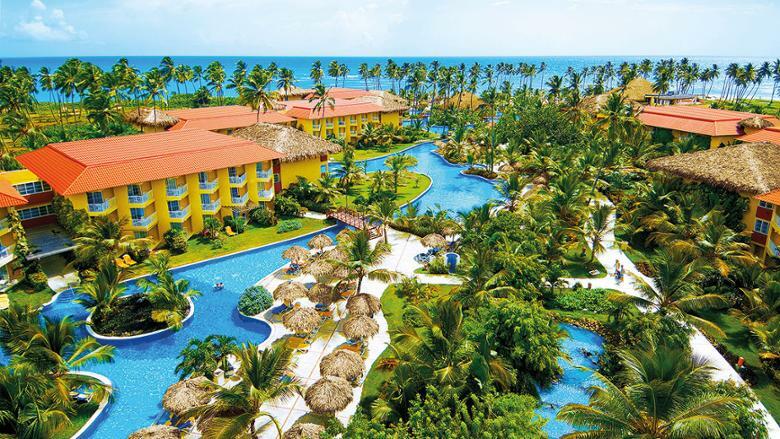 They say: Michelle Evans, manager for tour company Amstar, says, most British holidaymakers visiting the Dominican Republic come on all-inclusive holidays, and most stay in Punta Cana. There are around 80 hotels here, almost all of them all-inclusive, spread out along the beaches. The properties are large — 750 rooms is typical — beautifully landscaped and low rise: buildings aren’t allowed to be higher than a palm tree. Excellence Punta Cana and Excellence El Carmen are top-quality adults-only hotels, while the Dreams properties are popular with families. However, if you are travelling with children, you might want to stay near the southern end of the resort, where the sea is calmer as it’s protected by an offshore reef. 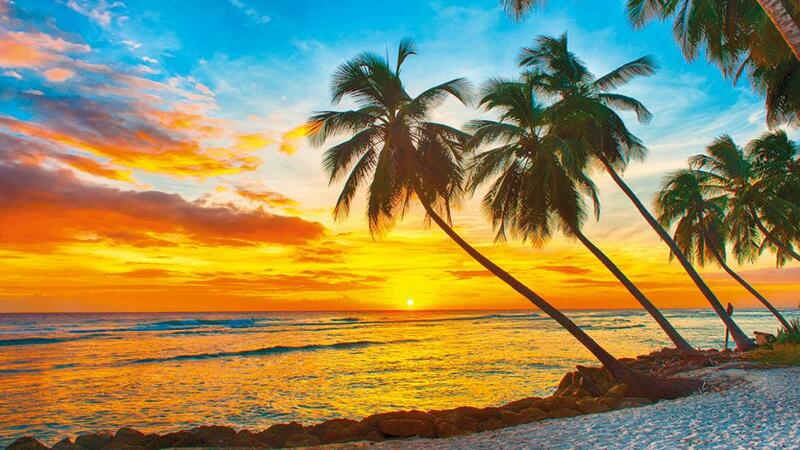 We say: There is more to Dominican Republic offers than stay-put all-inclusive breaks. From this winter, all direct flights from the UK land at the spread-out, purpose-built resort of Punta Cana. In the far east of the island, an improved highway has reduced the drive time to the capital Santo Domingo — the oldest European city in the Americas, with an atmospheric Zona Colonial that has cobbled streets and handsome coral-stone mansions — to around two hours. Punta Cana’s many miles of beaches are usually gorgeous, their powdery sands dotted with palms. However, they have been affected by sargassum seaweed this year. 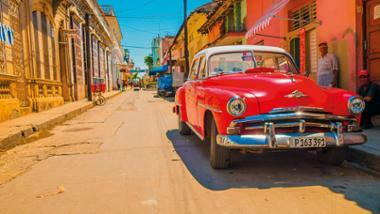 • The Dominican Republic has an ever-growing number of classy, upmarket hotels that are not all-inclusive. For example, at Casas del XVI, guests stay in a collection of beautifully restored colonial houses in old Santo Domingo. • Cabarete, a bohemian resort on the north coast, is one of the Caribbean’s top spots for kiteboarding and windsurfing, with numerous schools and rental outfits. • The Dominican Republic is the Caribbean’s golf capital, with more than two dozen courses, some designed by the likes of Jack Nicklaus and Greg Norman. Where to stay: At the adults-only, all-suites Excellence Punta Cana, nine a la carte restaurants, including a lobster eatery and a steakhouse, are covered in the rates. The family-friendly Dreams Palm Beach Punta Cana offers eight dining options, kids’ clubs for ages 3-17, and movies under the stars on the beach. They say: Thibault Jeanne, concierge for WIMCO Villas says the most happening beach is St Jean. Here you’ll find the Nikki Beach club – Sunday afternoons are its key party time. Shellona, a Greek/Mediterranean restaurant on Shell Beach, is another lunchtime hotspot. For dinner, Bonito, with its fantastic views over Gustavia and excellent French/South American food, attracts plenty of celebrities. We say: Gallic St Barths is like a tiny slice of the Cote d’Azur, but tropical and with better beaches. Gastronomic places to eat abound (with astronomic prices). A-listers come in droves in the winter months, staying on super yachts or in lavish villas dotted on the hillsides. The island has bounced back from the damage wrought by Hurricane Irma last year. While some hotels are still closed, all bars and restaurants outside hotels are up and running, as are Gustavia’s fashion boutiques. • All the island’s top-flight hotels are due to reopen by the end of this year. The famous Eden Rock will open its doors again for Christmas. Where to stay: One of the newest five-star places to stay is Villa Marie Saint-Barth. 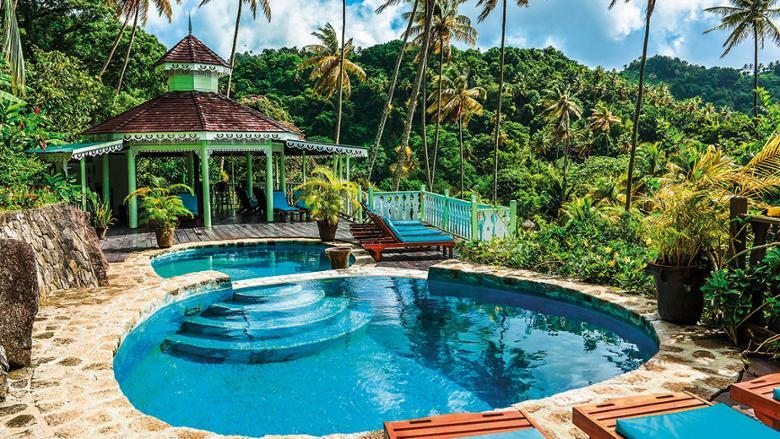 The 21 white clapboard bungalows mix colonial styles with vibrant Caribbean colours, and its restaurant, Francois Plantation, gets rave reviews. They say: Brian Benjamin, owner and chef, BB’s Crabback Caribbean Restaurant, says Grenada is friendly and peaceful – and it’s got fabulous beaches. ‘Grand Anse, the best, does get busy when a cruise ship is in port, but you can escape the crowds by heading to the southern end. For a quieter option, go to Morne Rouge Beach next along, which is very sheltered, so perfect for safe swimming. If I’ve got friends staying, on Sundays I often take them to the Aquarium Restaurant by Magazine Beach for its Sunday lunchtime barbecue with live music,’ he says. We say: Grenada is a great introduction to the Caribbean – and not just because of the lovely soft-sand beaches. Lush and with a mountainous and rainforested interior, the island is incredibly scenic, and in hilly St George’s it has one of the Caribbean’s prettiest capitals/ports. Nearly as big as the Isle of Wight, Grenada is just the right size for exploring. Most sights revolve around the prized local produce – nutmegs and cocoa. Almost all the hotels, best beaches and good places to eat and drink (and the airport) are conveniently concentrated in the south-west corner. That said, tourism here is still fairly low-key — and all development low rise. • Silversands looks set to raise the bar for luxury hotels on Grenada when it opens in December on Grand Anse beach. A minimalist design and 100m-long infinity pool are promised. • The nightlife in the south-west corner of the island is surprisingly lively, thanks to all the foreign students at St George’s University. • Grenada is big on chocolate, with four producers, a House of Chocolate shop/cafe/exhibition centre in St George’s stocked with edible treats, and an annual chocolate festival (May 31 to June 7, 2019). Where to stay: The best-quality hotel on Grenada at present is the Calabash. A family-run Caribbean classic, its comfy suites look across palm-dotted lawns to a tranquil beach and the yacht-dotted, protected waters of Prickly Bay. The food in the Rhodes Restaurant and the Beach Club knocks spots off anything you’ll find elsewhere on the island. They say: Kyle Mais, general manager Jamaica Inn says, Jamaican style and the island’s music scene are inextricably linked. Chris Blackwell, founder of Island Records, not only introduced the world to Bob Marley, but back in the Nineties he also pioneered the concept of hip boutique hotels in the Caribbean with his Island Outpost group. These include Ian Fleming’s one-time home GoldenEye and the lovely Strawberry Hill up in the Blue Mountains, which I once managed. Rock stars come to Jamaica to infuse their music with our distinct sounds. Some stay at the Geejam hotel, near Port Antonio. It has its own recording studio, which has been used by the likes of Amy Winehouse. As for music festivals, as well as the Reggae Sumfest in Montego Bay, there’s the rootsy Rebel Salute in Ocho Rios in January. We say: Jamaica is where the all-inclusive hotel concept was pretty much invented, back in the early Eighties with the first Sandals hotel. Many holidaymakers hole up in all-inclusive properties, but that insulates you from what’s best about the island – the trendy hotels, lively bar scene and music. Negril is the most appealing of Jamaica’s big three resorts, the others being Montego Bay and Ocho Rios. Once a hippy hang-out, now more mainstream, it still has a laid-back, party atmosphere. Levels of violent crime are high in some other parts of Jamaica, notably around certain areas of Kingston and Montego Bay, where states of emergency are currently in place (check latest advice on gov.uk/foreign-travel-advice/jamaica). Rather than renting a car, stick to official taxis and minibuses for transfers and excursions – for example to the Bob Marley Museum in Kingston. • Negril’s coolest places to stay have always been in the West End, but that has changed with the opening of the 28-room Skylark Negril Beach Resort. Set behind the Seven Mile Beach and decorated in zingy tropical colours, it’s sister to the West End’s hip Rockhouse hotel. The Excellence Group of luxury adults-only hotels has opened its first Jamaica property, Excellence Oyster Bay, on a private peninsula near Montego Bay. Where to stay: Stay first in Negril’s West End at The Caves, a stylish and intimate Island Outpost property comprising stone cottages in jungly gardens on the cliffs. Then head down to Jake’s, a rustic-chic hideaway at Treasure Beach, a fishing and farming community on the south coast. They say: Sally Miller, author of Bajan Cooking in a Nutshell says, Barbados has a larder of raw ingredients, available year round: cassava and eddoes, yams and sweet potatoes. Most of the fruit – coconuts, avocados, breadfruit, mangoes – is organic. Try the island’s speciality, flying fish, in a cutter – that's what the call a sandwich – made with salt bread. Have the traditional lunchtime buffet at Brown Sugar, near the Garrison Savannah, or head to the Animal Flower Cave’s restaurant in the north. We say: Barbados can make a good claim to being the Caribbean’s culinary hotspot, though with prices sky-high, your bank balance will suffer. Favourites include The Cliff, its more informal sister Cliff Beach Club, The Tides and Cin Cin by the Sea. 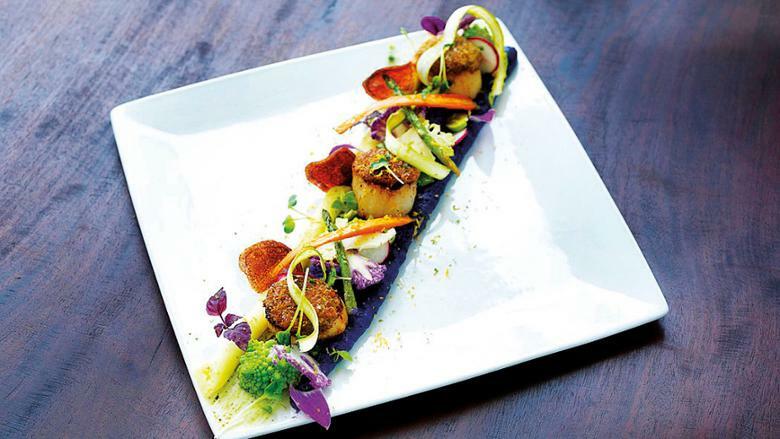 Also consider Hugo’s in Speightstown. You can also eat out cheaply. Ostins’ stalls is an example. Try their platter of grilled local fish with macaroni pie; the Friday fish-fry party here is a scrum. You can also get good food in many bars, such as the Village Bar at Lemon Arbour. • Nikki Beach Barbados (nikkibeach.com), a beach club opened last December by Port Ferdinand, with daybeds and a DJ strutting his stuff. Come for a mojito and a gawp. • Westbury New Road, north of Bridgetown harbour, has been renamed Rihanna Drive. A plaque outside identifies the bungalow she grew up in. • Virgin Holidays has opened a ‘Departure Beach’ lounge at Brownes Beach, Carlisle Bay. You check in for your flight, then chill on the beach, which has showers and changing. £25 a head, £18 children, including transfers, a meal, soft drinks. Where to stay: Beaches along the south coast have at times been plagued by piles of yucky sargassum seaweed this year. To avoid the risk, stay on the west coast, where most of the top restaurants can be found. Cobblers Cove offers some of the best hotel food on Barbados, and is within walking distance of Speightstown. They say: Steve Broadbelt, co-owner, Ocean Frontiers Dive Shop says, the Cayman Islands are perched on the pinnacles of an incredibly deep trench. ‘The vast drop-offs into the abyss are often easily accessible – in some cases no more than a few minutes’ boat ride out from shore. People think exploring our famous walls is not for inexperienced divers. But the tops of the walls can start at just 35ft, and you don’t have to venture too deep to enjoy them,’ he says. 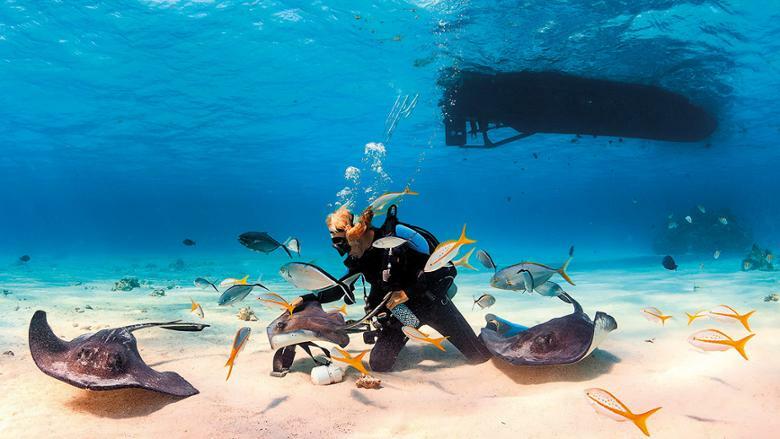 We say: The waters around the three Cayman Islands provide the best diving in the Caribbean. Other factors that make the diving so special include the vast number of dive sites, clear visibility, the abundance of healthy coral, rays, turtles and sharks, and first-rate diving schools. As well as visiting walls – topping the list is Bloody Bay Wall, a 6,000ft vertical cliff off Little Cayman – you can explore sunken wrecks such as the USS Kittiwake. • White-sand Seven Mile Beach on Grand Cayman is one of the Caribbean’s pin-up strands. • At Stingray City, you can engage with marine life simply standing on a sandbar. • A breeding programme for Grand Cayman’s blue iguanas has rescued the species from the brink of extinction. Where to stay: For a beach/dive holiday, base yourself on Seven Mile Beach. If your focus is wholly diving, stay on sleepy Little Cayman or at Grand Cayman's tranquil East End, which are near many of the best dive sites. They say: Newton George of Newton George Nature Tours, says, thanks to Tobago’s proximity to South America — we are not far from the Venezuelan coast — we have more birds per square mile than any other Caribbean island. There are around 220 species. In the rainforest on the easily accessible Gilpin trail you can spot spectacular local specialities such as white-tailed sabrewing hummingbirds and Trinidad motmots. On the island of Little Tobago, an offshore seabird sanctuary, you can often observe frigatebirds attacking red-billed tropicbirds, and see nesting red-footed and brown boobies. 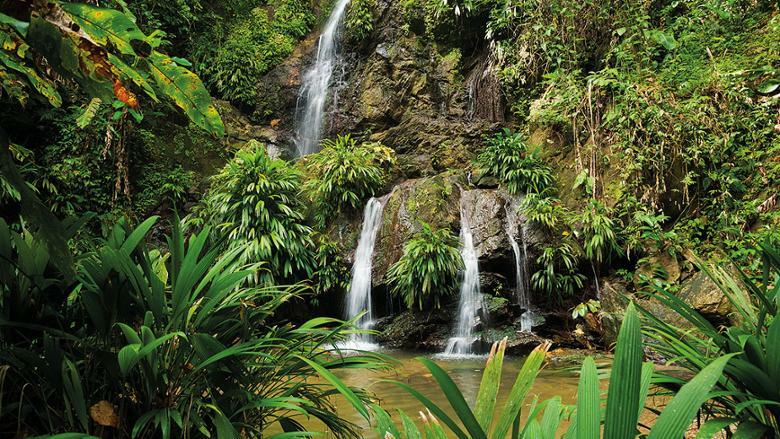 We say: It’s not just the bird life that makes Tobago so special for nature lovers. The Main Ridge Forest Reserve, which covers much of the island’s mountainous spine, is the western hemisphere’s oldest protected forest; visiting it with a guide such as George will reveal so much more. You can also plunge into waterfalls (notably 175ft tiered Argyle Falls), and at night-time paddle-board or kayak on a bioluminescent lagoon. • In the nesting season (March-August), watch giant sea turtles lumber ashore to lay eggs in the sand on beaches such as Stonehaven Bay. • Goat racing is a traditional sport on Tobago, with the big annual event in the village of Buccoo on the Tuesday after Easter Monday. Where to stay: Most hotels are in the south-west of the island. To really immerse yourself in nature, stay instead at Castara Retreats, a family-run, community-oriented eco-retreat of wooden lodges set in tropical gardens on a hillside above the west coast, with mesmerising ocean views and the rainforest behind. They say: Leonard Stapleton, historian, author and tour guide, says, ‘In the 1600s and 1700s, the world’s superpowers prized our small islands, which were major producers of tobacco, then sugar cane. On St Kitts, spend time at Brimstone Hill Fortress, the biggest British colonial fortification in the Caribbean, and ride the scenic railway once used to transport cane from the estates. On Nevis, you should visit the little birthplace museum of the American Founding Father Alexander Hamilton in Charleston. The most extant of Nevis’ abandoned sugar mills are on the New River/Coconut Walk estates. We say: To properly soak up Nevis’s colonial heritage you should stay in one of its atmospheric plantation inns – the properties of the former sugar estates. Nisbet Plantation Beach Club, which is on the beach, was the home of Fanny Nisbet, wife of Horatio Nelson. They married in the grounds of sophisticated Montpelier Plantation (located inland, but with a private beach). • The sleek, contemporary-styled Park Hyatt St Kitts Christophe Harbour opened last winter on the golden sands of Banana Bay. • With no visits from big cruise ships and just a single large hotel (the upmarket Four Seasons), Nevis is one of the Caribbean’s best choices for a sleepy getaway. John Cleese has said he’s intending to move there. 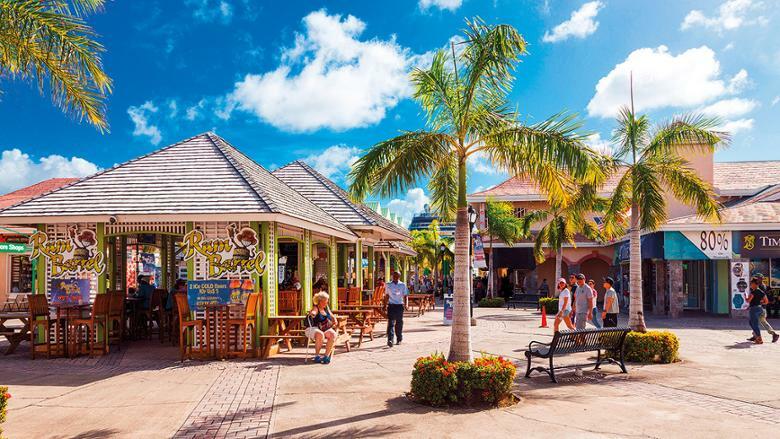 Where to stay: St Kitts and Nevis combine perfectly for a two-island break, as it’s a short ride by water taxi or public ferry between the islands. 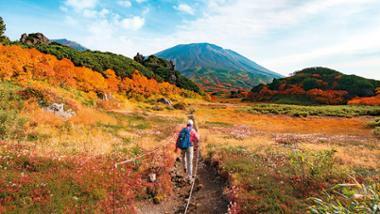 Three nights at the Park Hyatt St Kitts room only, then four nights B&B at Nisbet Plantation, costs from £2,129. They say: Karolin Troubetzkoy, president of the St Lucia Hotel and Tourism Association, says, ‘St Lucia has been my home for more than 35 years and its beauty – the majestic Pitons, the lush, mountainous, verdant terrain — still captivates me. It also creates a perfect setting for romance. The island is known as the honeymoon capital of the Caribbean. Plantation hotels like Fond Doux and Stonefield have secluded cottages in gorgeous tropical grounds, while Anse Chastanet, Jade Mountain and Ladera have suites with missing fourth walls through which you and your partner can bask in mesmerising views of the Pitons. We say: The dating show Love Island is filmed on Mallorca, but St Lucia would be a much more suitable location — and it’s been used for the American version, The Bachelor. The scenery delivers an incredibly seductive backdrop, especially in the south-west where the twin green volcanic cones of the Pitons thrust out of the ocean and fecund jungle is all around. In the most lovey-dovey hotels, bedrooms are designed to immerse occupants in their surroundings, not only with the views but through features such as outdoor garden showers. At Jade Mountain, the most famous (and expensive) romantic bolt-hole, couples have been known to not leave their palatial suites for several days, with meals delivered by butlers. Wherever you stay, dine with your loved one looking to the Pitons at Ladera’s Dasheene or in the north at Cap Maison’s first-rate Cliff at Cap, take a catamaran cruise along the west coast, and take a dip in a mud bath at the Sulphur Springs. • England’s men’s’ cricket team is touring the West Indies in 2019. Several matches are being held at St Lucia’s Darren Sammy National Cricket Stadium, close to Rodney Bay resort. Barbados, Grenada and St Kitts are also hosting matches (ecb.co.uk). • St Lucia isn’t just about sedentary holidays. You can climb the Gros Piton (four hours up and down), hike on trails through the mountainous rainforest, zip line over through the tree canopy (rainforestadventure.com), and go jungle biking (bikestlucia.com). Where to stay: For an utterly romantic, relatively affordable hideaway, consider Ti Kaye. Adults only and miles from anywhere, its gingerbread cottages spread over a cliffside, with hammocks, rocking chairs and in some cases plunge pools on their verandas from which to lap up bewitching sea views and sunsets. Steps descend to an undeveloped, jungle-backed, silver-sand beach.